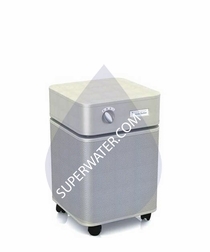 Superwater.com has free FedEx and UPS Ground Shipping available on all FR402 Bedroom Machine Replacement Filter orders! 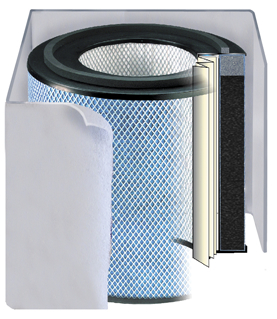 The FR410 Austin Air Bedroom Machine Replacement Filter replaces all filters that come with the B402 Bedroom Machine Air Purifier. The Bedroom Machine's 5-Stage filtration system provides best overall protection from airborne particulates, and is designed especially for those with sleep-related issues. The system uses true, medical-grade HEPA to clean air of particles and contaminants, plus a carbon/zeolite filter to absorb odors, gases and fumes. 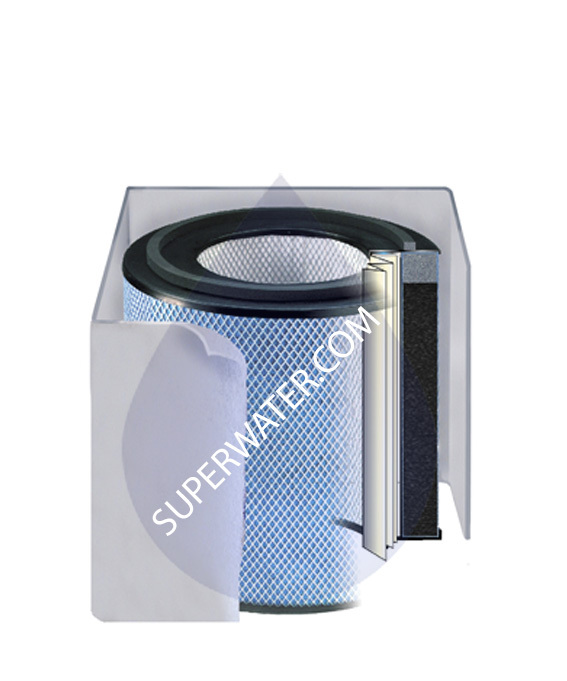 Additionally, the filter integrates a military-grade HEGA carbon cloth to absorb even more gases and harmful volatile organic compounds as small as 0.1 microns. - Includes 60 sq. ft. of true, medical-grade HEPA to filter 99.97% of allergens, bacteria and viruses, to 0.3 microns as well as 99.5% of particles as small as 0.1 microns. - Fits Austin Air's B402 Bedroom Machine air purifier. Will also fit any standard-size Austin Air purifier.